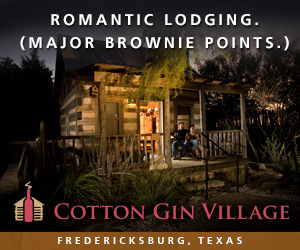 When I attended two conferences in Fredericksburg, I made sure to spend some time to visit some wineries in the area. 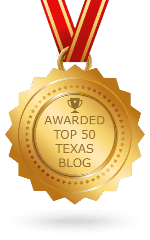 Perhaps the places I visited will give you some ideas as to where you can visit next time you are hangin’ in the Hill Country. I had intended to make this one blog post, but it was getting long because of the number of places you can visit in four days, so this will be a two part series. Be sure to read part 2 when you are done with part 1. 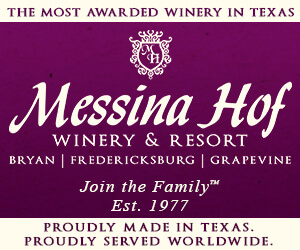 On my way to the Hill Country, I first stopped at Messina Hof Winery & Resort in Bryan. 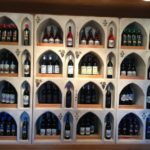 They held a Library Tasting event on a Friday night with wines not available for sale anymore could be tasted and the opportunity to buy them made available. 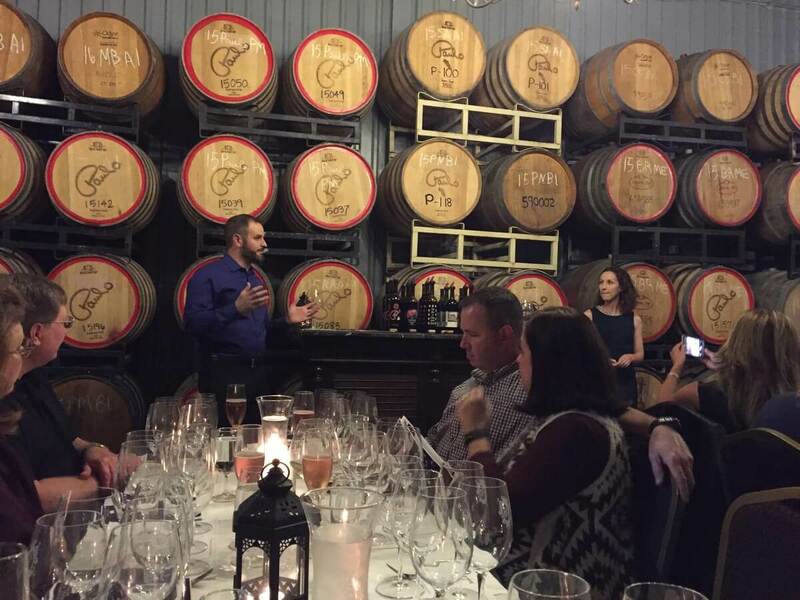 The tasting was held in the barrel room and the Bonarrigos of Messina Hof presented the wines and gave information about the different wines. As usual, Paul V. Bonarrigo told some fun tales about certain wines from the past and the Texas vineyards from which they came. The oldest wine we tasted was a 1987 Cabernet Sauvignon. It was a medal winner at the American Wine Society and the Atlanta Wine Summit in 1989. An interesting story about 1987 with Messina Hof was they had just gotten the first bladder press sent to the United States, even before California. 1987 was also the first year Messina Hof got their first stainless steel tanks. 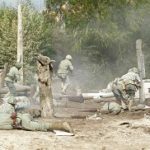 Before the tanks, they had been using milk tanks. The tasting had been a lot of fun and I left after buying a couple library wines. 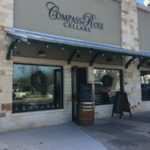 Saturday rolled around and I finished my trek to the Hill Country first heading to the new Newsom Vineyards at Comfort tasting room. 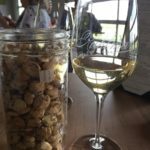 I told about my visit in a previous post and it was fun seeing the new tasting room and talking with all the Newsoms again: Nolan and Yanmei along with Nolan’s parents Neal and Janice who were in town for TWGGA’s Grape Camp. The tasting room makes a great visit now, and after hearing about the wines that will be coming, I cannot wait to visit again. 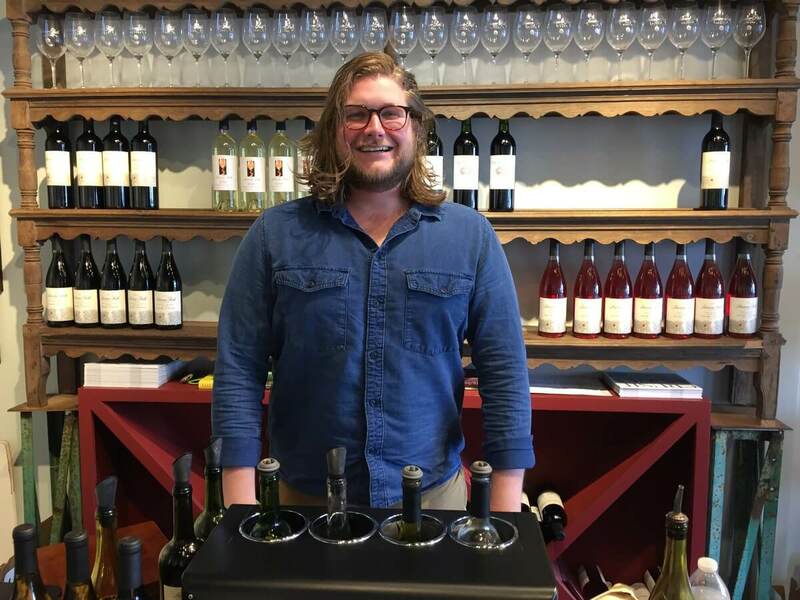 Next was my appointment with owner/winemaker Dan Gatlin of Inwood Estates Vineyards at Fredericksburg for the Taste with the Winemaker event which anybody can make an appointment and enjoy. 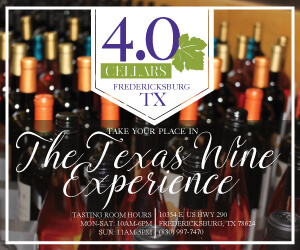 Dan Gatlin is always informative and educational since he has had over 30 years in making Texas wine and enjoys passing on his knowledge of winemaking. I would definitely recommend this event. Appointments were continuing as I headed to my first (after opening) visit for 1851 Vineyards. I met my friend Karen Sportsman there for our tasting and had a fun time with the Hollimon family. Like Newsom Vineyards at Comfort, knowing the excellent winemaking and future wines coming, this will definitely be another winery I look forward to visiting again. 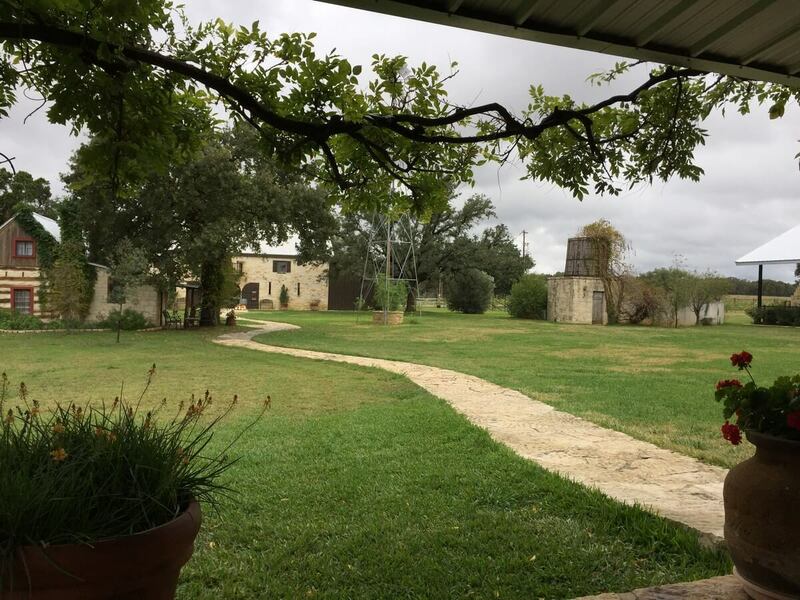 Oh, and after our visit, 1851 Vineyards became another member of Texas Hill Country Wineries. Sometimes you need to get off the common U.S. 290 wine trail and that is what I did when I visited an old favorite Sandstone Cellars Winery in Mason. I met co-owner Scott Haupert, who has always been behind the tasting bar when we visited. 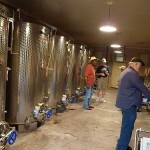 Since our last visit, the winemaking is now being done by Scott and co-owner Manny Silerio. 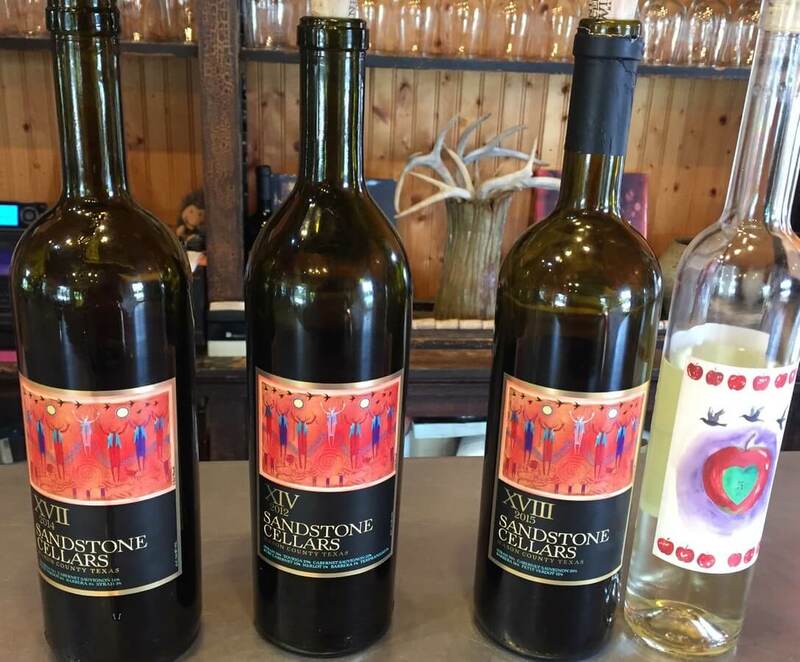 Sandstone Cellars has always come out with one wine a year, and I had to ask Scott out of curiosity how they can run a profitable business on that. The answer was they also own a popular wine bar next door and are involved with the excellent Santos Taqueria restaurant next door too. 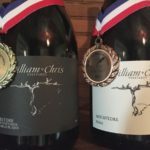 Scott reiterated that all their wines are made from Mason County vineyards including Robert Clay Vineyards and Tallent Vineyards. 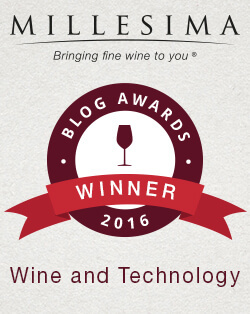 The latest wine, the 2015 XVIII, is 100% Tallent Vineyards and is Syrah 50%, Cabernet Sauvignon 20%, Barbera 18%, and Petit Verdot 12%. It had been another great visit to Sandstone Cellars, but it was time to call it a day. 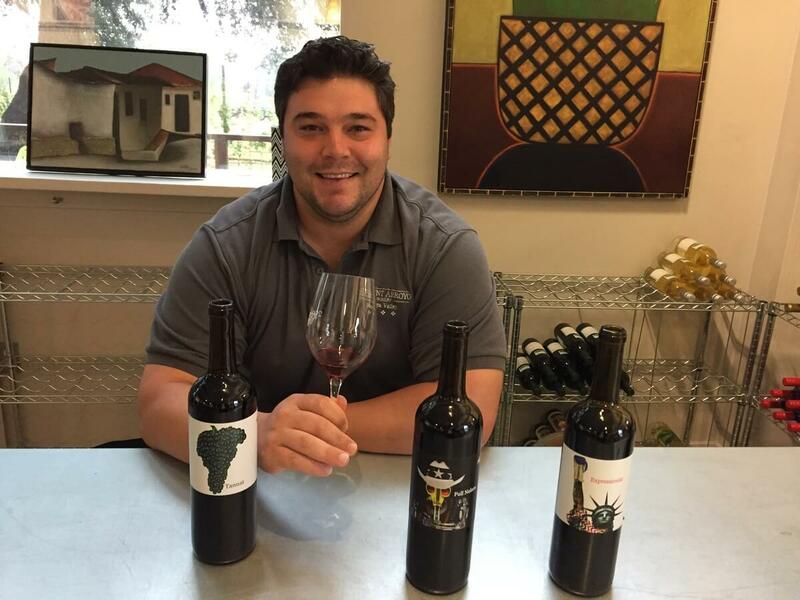 The first DANK wines Fly Gap produced were made at different wineries overseen by Brock, but the Fly Gap Winery wines are made at his winery by himself. The unique thing about his winemaking is the wines are fermented in concrete vats and then transferred to barrels or holding tanks. All three wines Brock tasted during my visit were Fly Gap Winery wines. 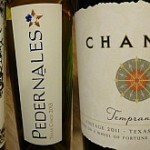 I enjoyed all the wines and I believe some of them may be available for purchase at 290 Vinery. Heading back into Fredericksburg, I promised to meet Karen Sportsman who had yet to visit Ron Yates. We sat on the patio where tastings are currently done, and even though there was some slight rain, everything was fine under the covered patio. Karen did a full tasting while I enjoyed a glass of Mourvèdre. We had to part ways, but I am sure we will see each other again soon. I also got the chance to talk to co-owner Cord Switzer who poured me a couple tastings. 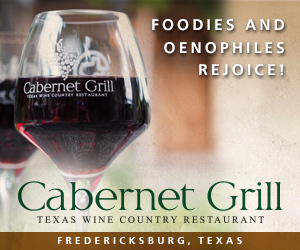 It was nice seeing Cord again and know that things are still going well at Fredericksburg Winery. Back down Main Street, I parked where you are now within walking distance of a number of tasting rooms. 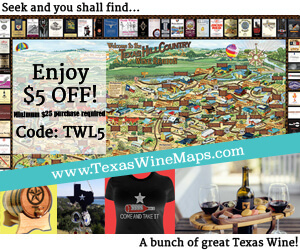 The first one I visited because it was new was Armadillo’s Leap Winery – Main Street. I had a fun time during my visit talking to both the customers and the staff, and wrote about my visit recently. 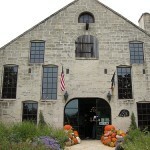 Across the street, I visited Narrow Path Winery again. 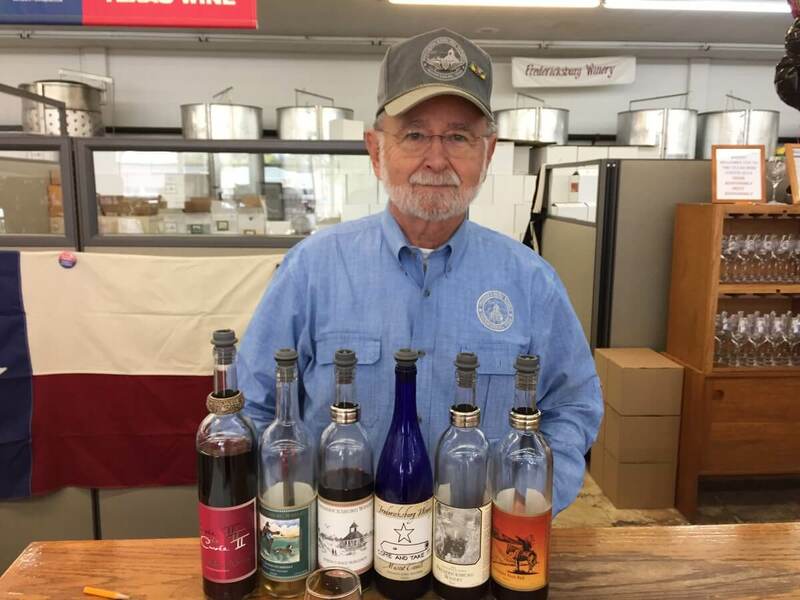 John Turbeville was still handling tastings and it was nice to visit with him again. I tasted what was new and he gave another customer and me a treat of things to come. The Turbevilles also own the store next door, so John led us there and to the back room of the store. That room which has couches and chairs will be turned into a wine club room and for reservations with parties larger than five. That will definitely be nice to enjoy a glass of Narrow Path wine. We were also shown an artist’s design for a second tasting room and open-air pavilion building including a vineyard they will be building. The location will be in the Stonewall area and from the looks of the plans, it is going to be fantastic! With all these additions, Narrow Path Winery is definitely a winery to be keeping an eye on. 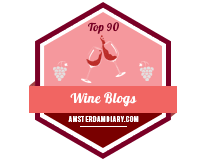 The finish to my winery visits is in Part 2.